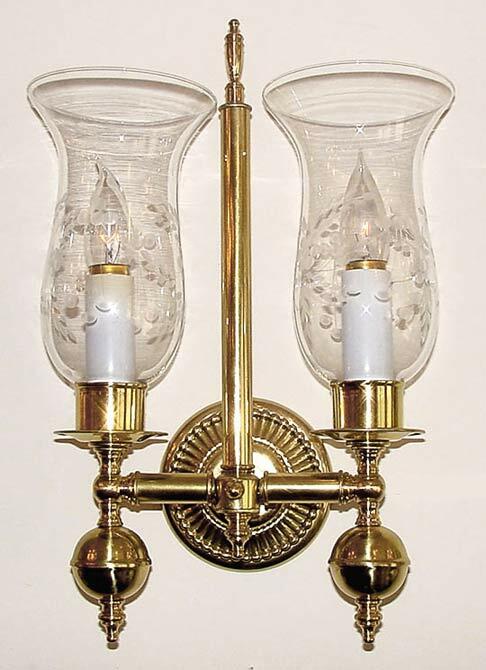 This Colonial double features beautifully etched what etched hurricane shades and is shown in high polished brass. Custom widths are fine on this one. Don't like the lower 'ball' or center tube? Order it without... You have complete design control! Width 11 In. / Projection 8 In. / Depth 16 In.